The club has been absent from this event for a few years now but in 2018 we decided to return. 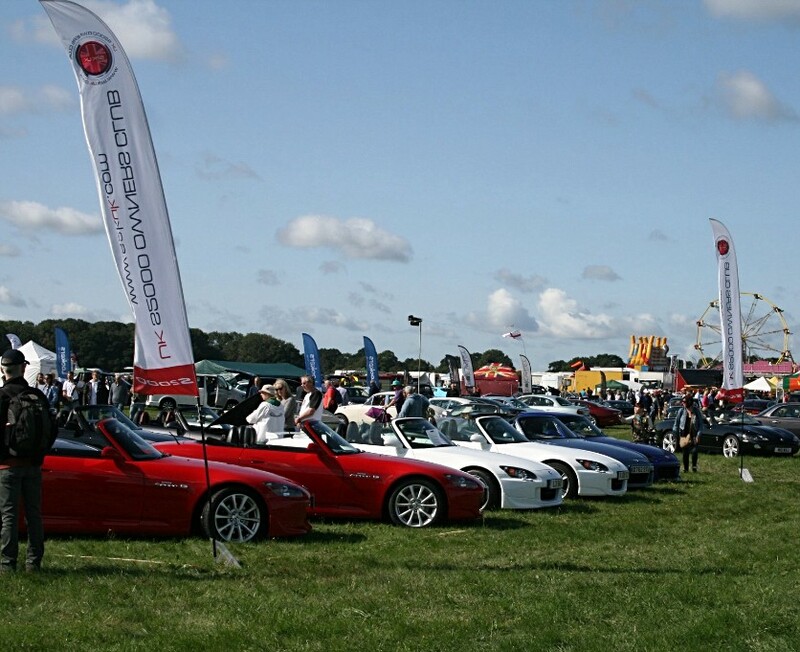 It's set over 2 days on the summer Bank Holiday weekend at this historic airfield in the heart of Surrey, home to Top Gear and the iconic Harrier jump jet. 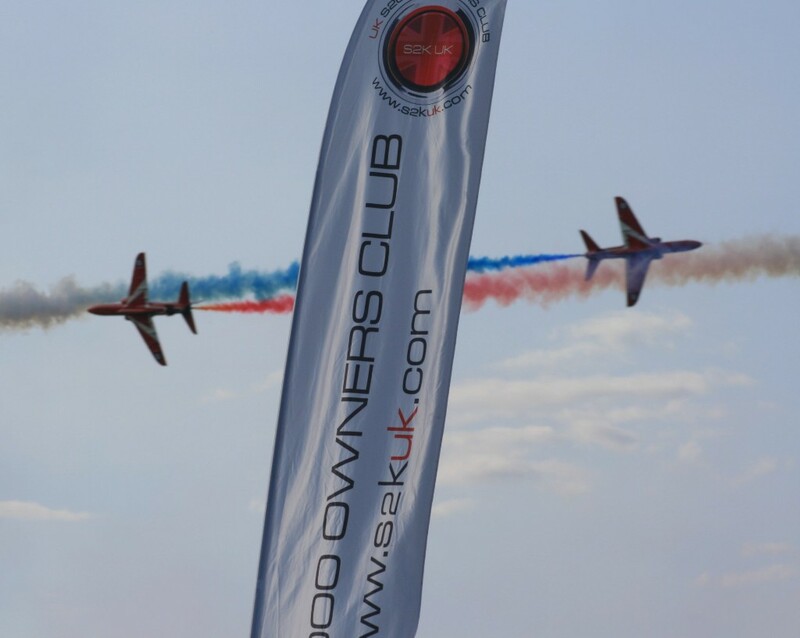 It combines a large classic car show with amazing action in the sky from a variety of historic aircraft. 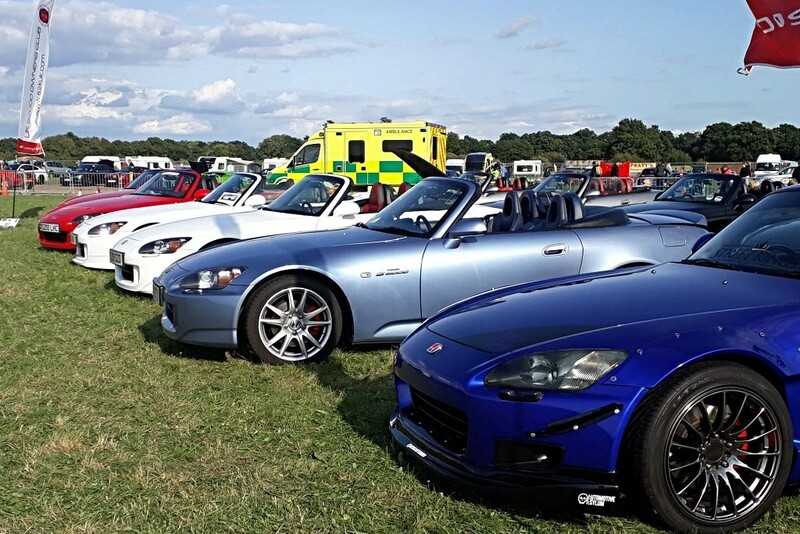 Twelve S2000s were on display on the Saturday and we were blessed with some long spells of sunshine to watch the packed flying schedule and to just kick back and enjoy a great opportunity to socialise with other club members. 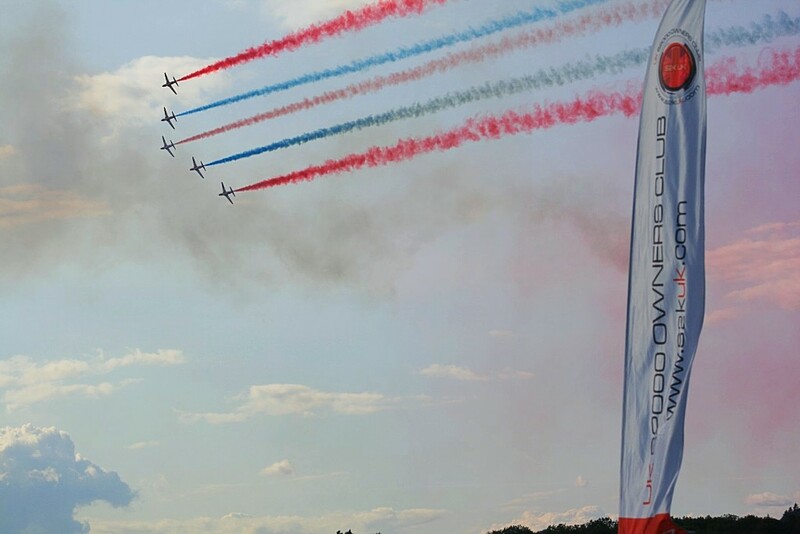 We were fortunate to have two Red, two Blue and a pair of white GT100s which we put to the front in salute of the RAF's Red Arrows display team, although we weren't sure if they noticed as they executed their breathtaking flying display above our heads. As usual, our cars created a huge interest from the show visitors, and we were able to chat for much of the day with current and past owners, as well as the surprising number of pure S2000 enthusiasts. As a bonus we even had four cars on the crowd line display. Sadly, Dunsfold is set to disappear under a major housing development soon so it's not clear whether we'll be back again next year. If not we'll be finding another major show to match it!